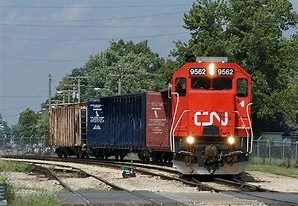 The IC is one of the early Class I railroads in the US. 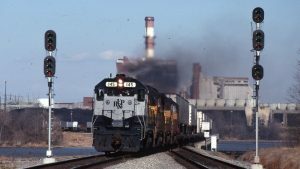 Its roots go back to abortive attempts by the Illinois General Assembly to charter a railroad linking the northern and southern parts of the state of Illinois. 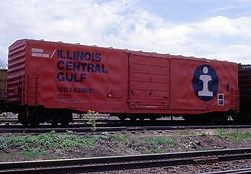 The Illinois Central Railroad (reporting mark IC), sometimes called the Main Line of Mid-America, was a railroad in the central United States, with its primary routes connecting Chicago, Illinois, with New Orleans, Louisiana, and Mobile, Alabama. 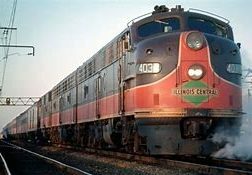 Of the Illinois Central's many achievements perhaps the most remarkable was in retaining its original name while avoiding bankruptcy for its entire 148-year history. The Green Diamond was the Illinois Central's premier train between Chicago, Springfield and St. Louis. 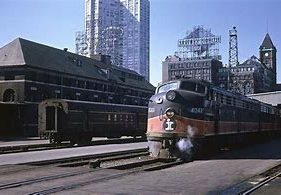 The Illinois Central was a major carrier of passengers on its Chicago to New Orleans mainline and between Chicago and St. Louis. IC also ran passengers on its Chicago to Omaha line, though it was never among the top performers on this route. 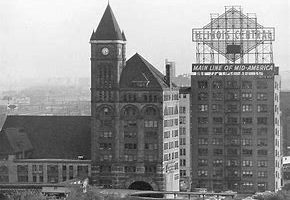 The Illinois Central's primary Chicago terminal was Central Station, regarded as one of the city's six great facilities. 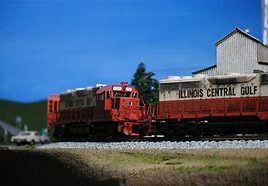 The Illinois Central was chartered by the Illinois General Assembly on February 10, 1851. Senator Stephen A. Douglas and later President Abraham Lincoln were both Illinois Central men who lobbied for it. 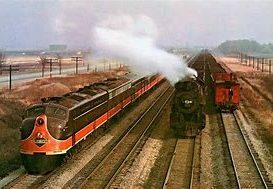 For a short time during the 1920s, the line operated a service named "The Natchez Route", running trains from Natchez to Mobile, Alabama through trackage agreements with the Gulf, Mobile and Northern Railroad.